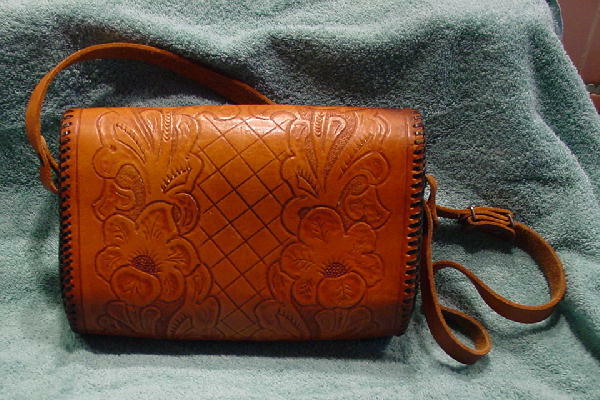 This vintage handtooled leather purse was made in Mexico in the 1960s. It has an envelope styling and a black leather weave all along the edges. 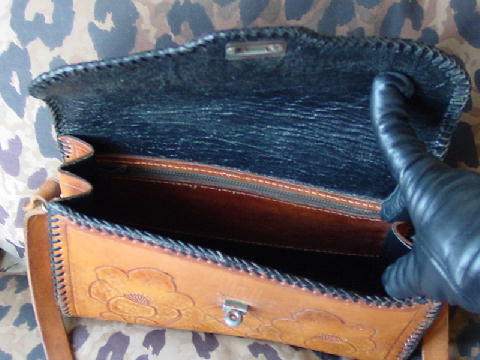 There is a black leather interior with a side to side zipper compartment which has an outer saddle leather color front panel. 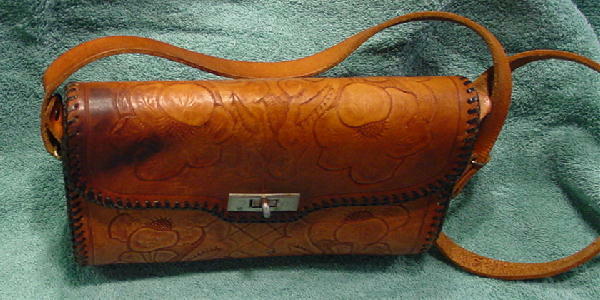 It has a 40" long adjustable leather shoulder strap. The exterior design has two vertical rows of flowers and leaves with a central design of etched diamond shapes. It has that "well-loved" look with a "scorched" effect on the left side of the lid. 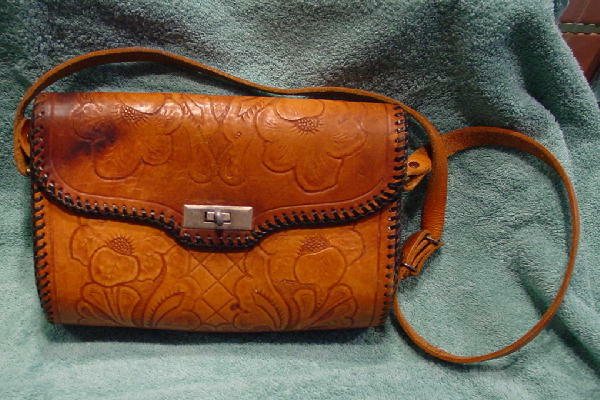 It belonged to a former New York model who bought it at a hotel boutique in Mexico.